Aadhaar ecosystem comprises of core infrastructures with the objective of providing enrolment, update & authentication services. e-Aadhaar is a password protected electronic copy of Aadhaar, which is digitally signed by the competent Authority of UIDAI. Mask Aadhaar option allows you to mask your Aadhaar number in your downloaded Aadhaar. 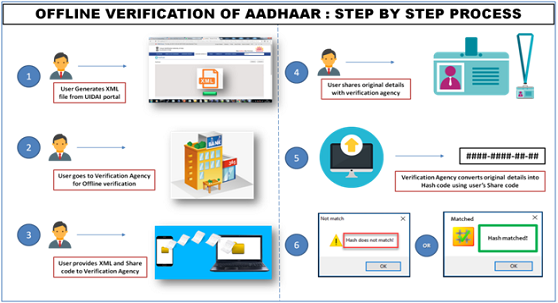 Resident can download e-Aadhaar by following two ways. By Using Enrollment Number:Resident can download e-Aadhaar using 28 digit enrolment no. along with Full Name and Pin code. In this download process OTP is received on registered mobile no. Resident can also use TOTP to download e-Aadhaar instead of OTP. 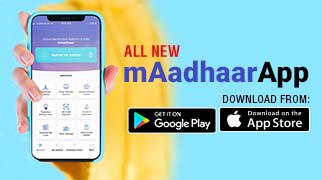 TOTP can generated using mAadhaar mobile Application.